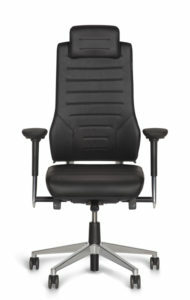 Sit smarter, healthier and consciously - BMA Ergonomics. Producers are encouraged to make their products healthier. Less sugar, salt and sitting will reduce the chance of heart and vascular diseases, high blood pressure and obesity. 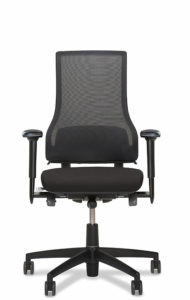 BMA cordially supports the proposal of sitting less prolonged – as strange as that may sound from a chair manufacturer. 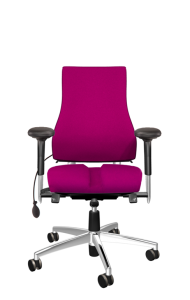 We already acted on it with introducing the Axia Smart Chair and Axia Smart Active office chairs, Smart Chairs that will coach you on proper seated behaviour. Our motto is ‘move when you can, sit correctly when you must’. Healthy, fit employees are more balanced in life and perform better. An active work style and proper seated posture are part of that. 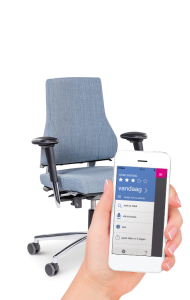 A tactile and audible signal from the seat of the Axia Smart Chair and Axia Smart Active office chairs is heard/felt when you are sitting incorrectly (Smart Chair) or too prolonged (Smart Active). This nudging will help you to be more aware of your sitting posture and duration. Furthermore the Smart Active App displays your personal seated pattern and provides you with tips on how to move more during your working day in the office. Just as long as you are a ‘sitting pro’! And therefore you move up from “unconscious incompetence” to “conscious skilled” as far as it concerns your seated behaviour. • Go for a walk during lunchtime. Have some movement and fresh air at the same time. Do you want to know more about sitting smarter and healthier? 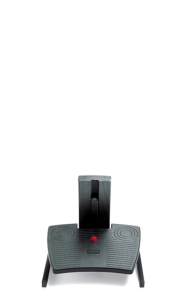 Or do you want to try it yourself 3 weeks for free? Then please contact us.